This week keeping families together means rejoicing in what God is doing! Can we brag on God? He is so good, and we want you all to know! 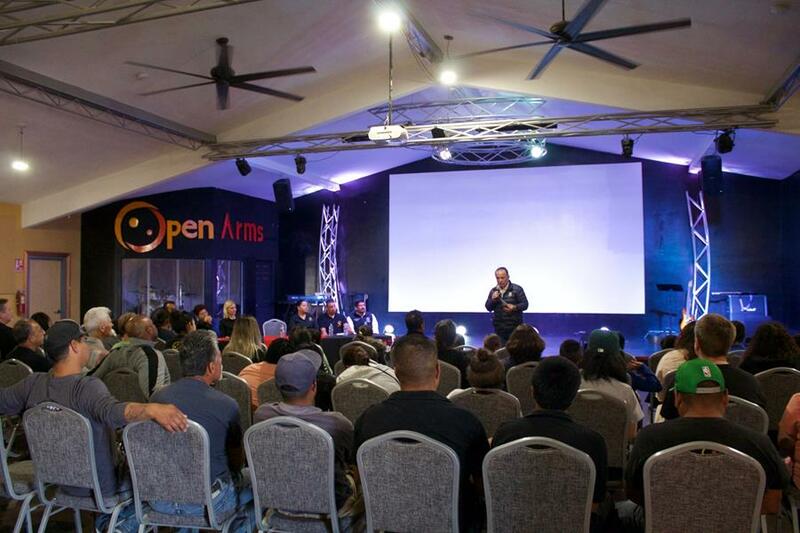 The mayor or Ensenada (speaking below), (Ensenada is the largest county in all of the world which includes La Mision and Camalu), came to our Camalu campus! 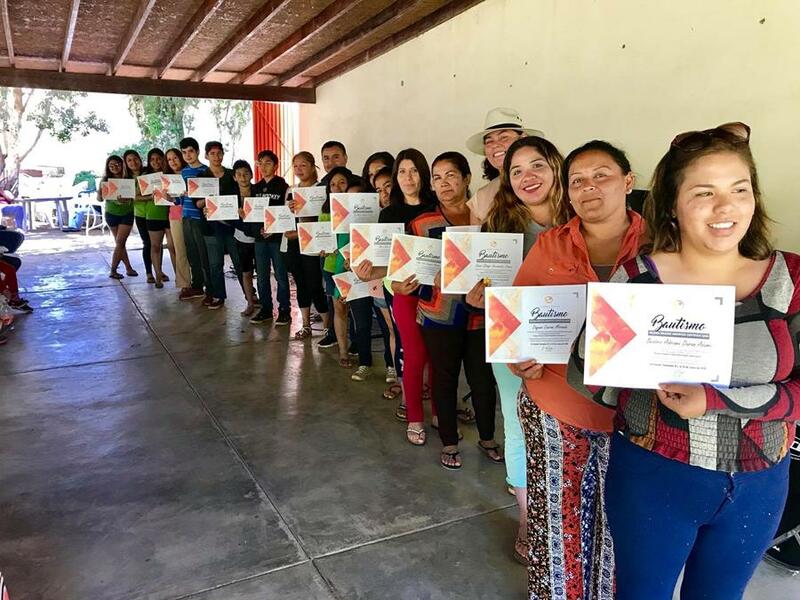 He wants to link arms to make Ensenada even better by making it easier for private foundations to work with the government to serve their communities. This is a huge step forward for Ensenada! It is an honor to be a part of God’s plan for Baja. 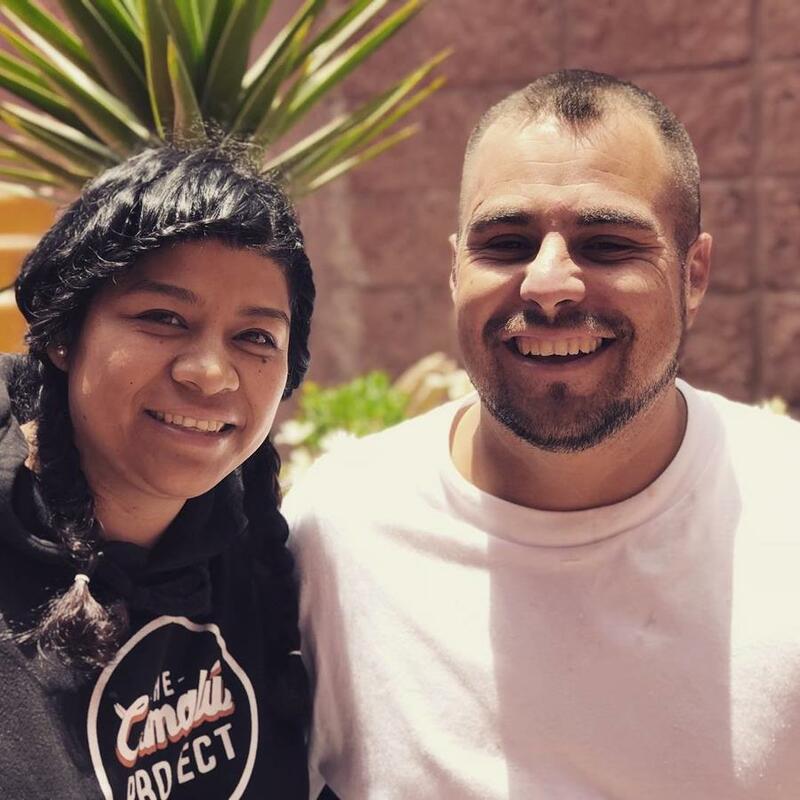 Susana (pictured below with her husband), has worked at our Camalu campus since opening and her husband Carlos, who helped build our amazing facility and is still on staff, received an AMAZING miracle. Susana has had a benign brain tumor for many years causing headaches and other side effects. A couple weeks ago she lost her sight for an hour and a half. 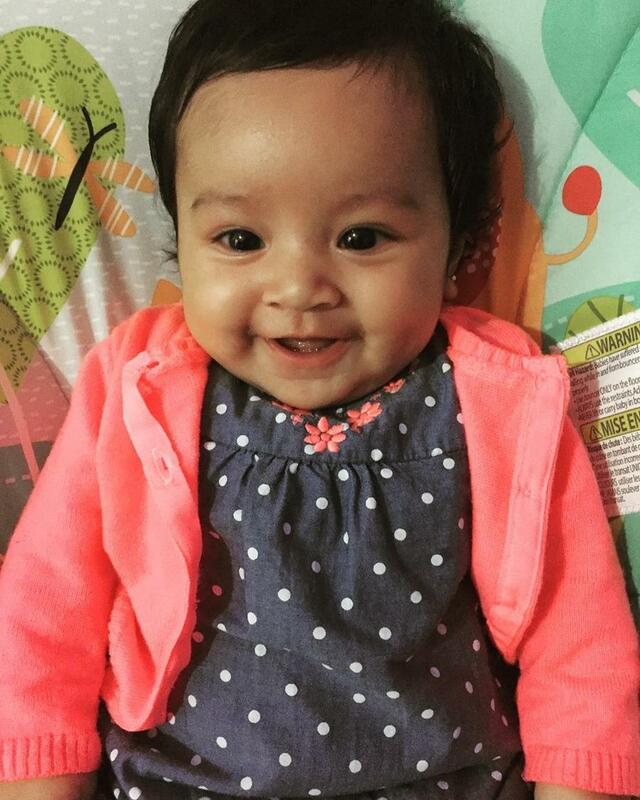 Marisol, our director, prayed for her and sent her to get blood work and an MRI. Her family surrounded her with prayers as well as other ministries in the valley. Susana went for the results of the MRI and the doctors were astonished. NO MORE BRAIN TUMOR! She was completely healed! Praise the Lord! The doctor said he can see the scar where something was but the tumor is gone. Hallelujah! 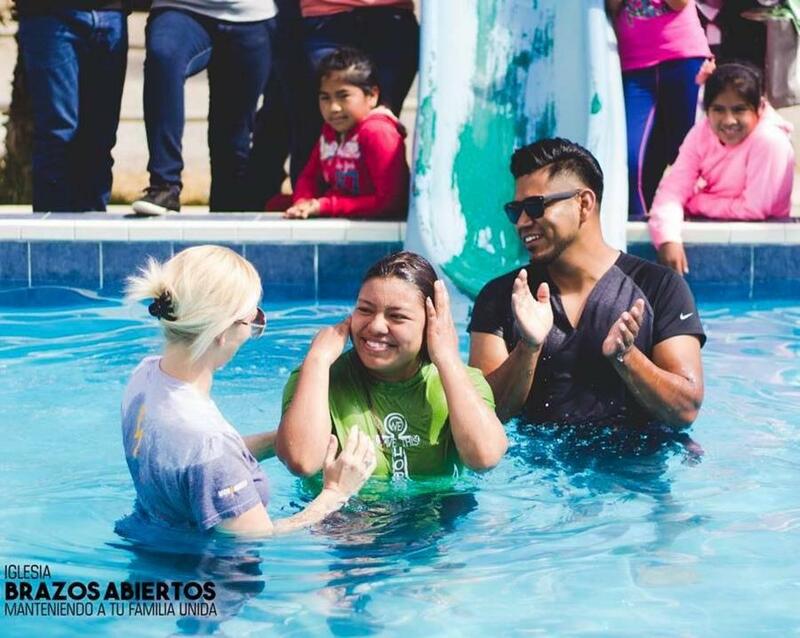 Susana has a new radiant smile, no more headaches, and her husband Carlos’ faith has grown tremendously!!!! Our God is the same yesterday, today, and forever! He is our HEALER! 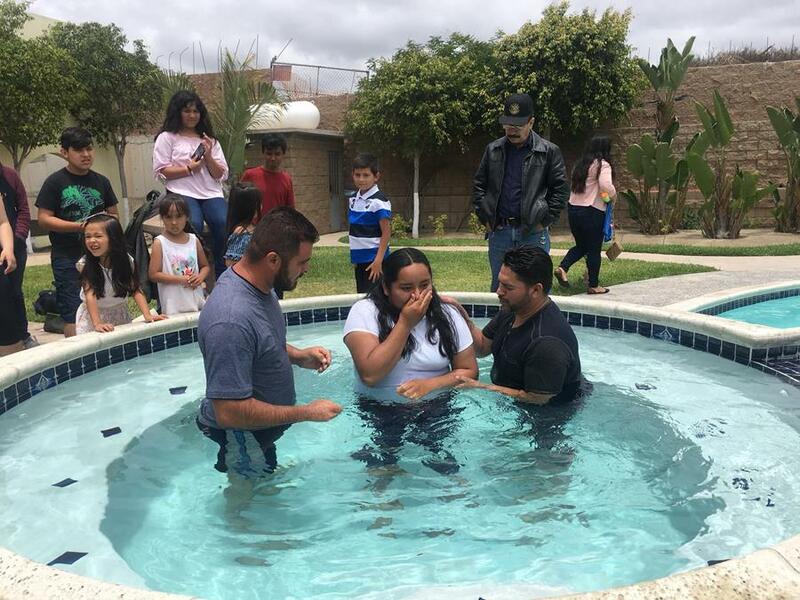 The Open Arms Church baptized 20 new believers (pictured below), including FIVE daycare moms and THREE of our older kids who all have decided to follow Jesus! Pray for each of these new believers, that their faith would increase and their hearts would be full of the love God has for each of them! 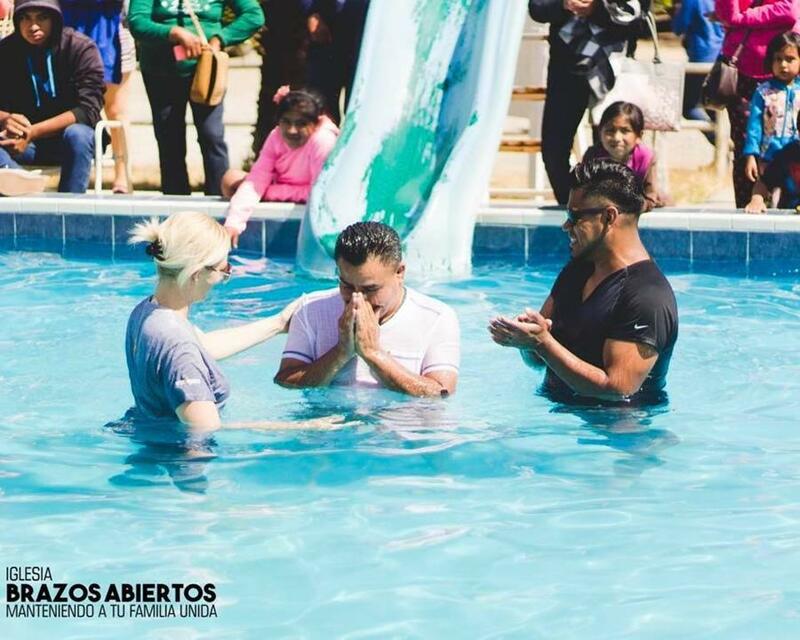 Additionally, 7 were baptized in La Mision. Glory be to God! 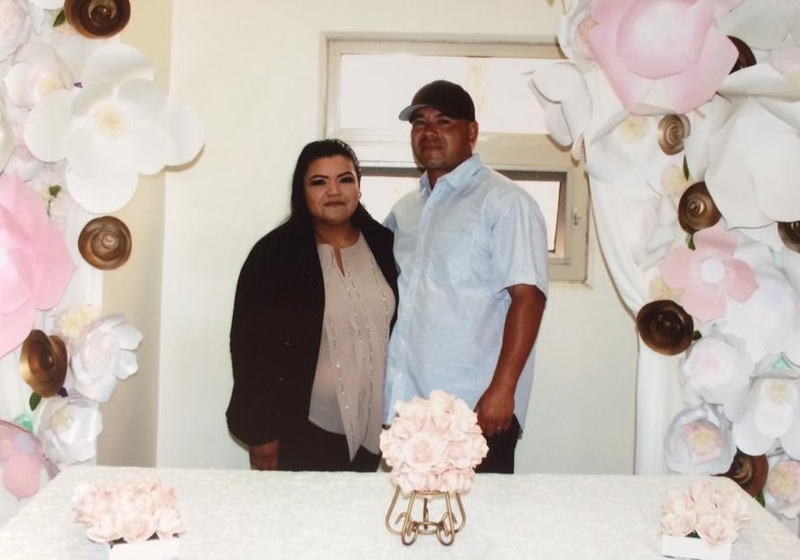 In La Mision, Panchita (our Mexican Director) and her husband, Sheko, welcomed their first baby; a sweet little girl! Aime Gomez Anguiano was born March 28, 2018, happy and healthy. She is a welcomed addition the baby room in La Mision and everyone loves, loves, loves her! Many of you know Symmond, one of our special needs kids in La Mision. If you have met him, you love him! He was diagnosed with severe mental handicaps and the doctors first said he might not walk, but our God is good and he walks! They told his mom that he might never speak words, but our God is good and he speaks! They said he might not ever be able to use the restroom on his own, but he is on his way to being potty trained! 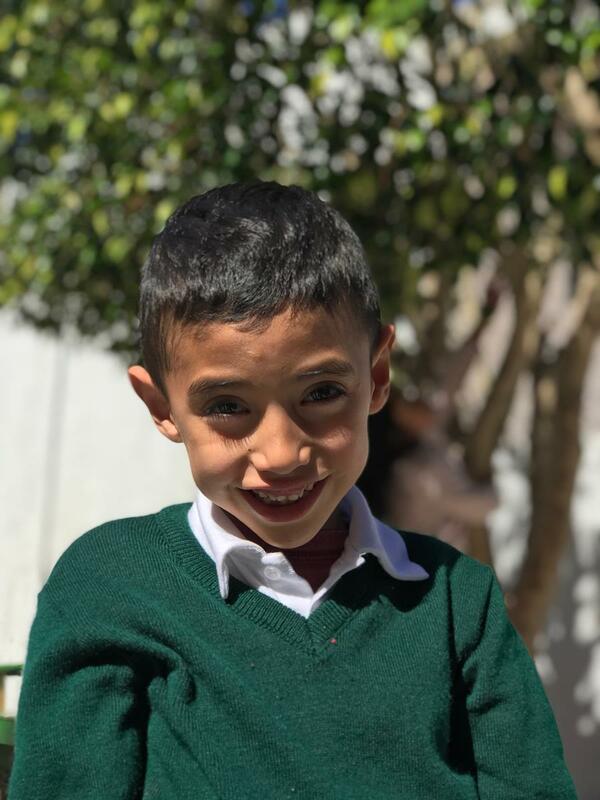 We have seen him grow so much, just in the last few months, he has started letting us know when he has to use the restroom, using new words and has moved into our Kindergarten room where he is able to interact with other kids his age and do all the same things they do! GOD IS THE GOD OF HOPE! About 5 years ago, Micaela, Jenny and Miguel’s mom, suddenly became a widow and could not provide the basic needs for her children. She was desperate and thought the only way to truly care for them was to leave them at an orphanage. We stepped in and helped her fight to keep her family together and the kids have been at OA ever since. That’s great news, BUT we have better news: she started attending church again after not having attended and she met a Christian man and they got legally married! 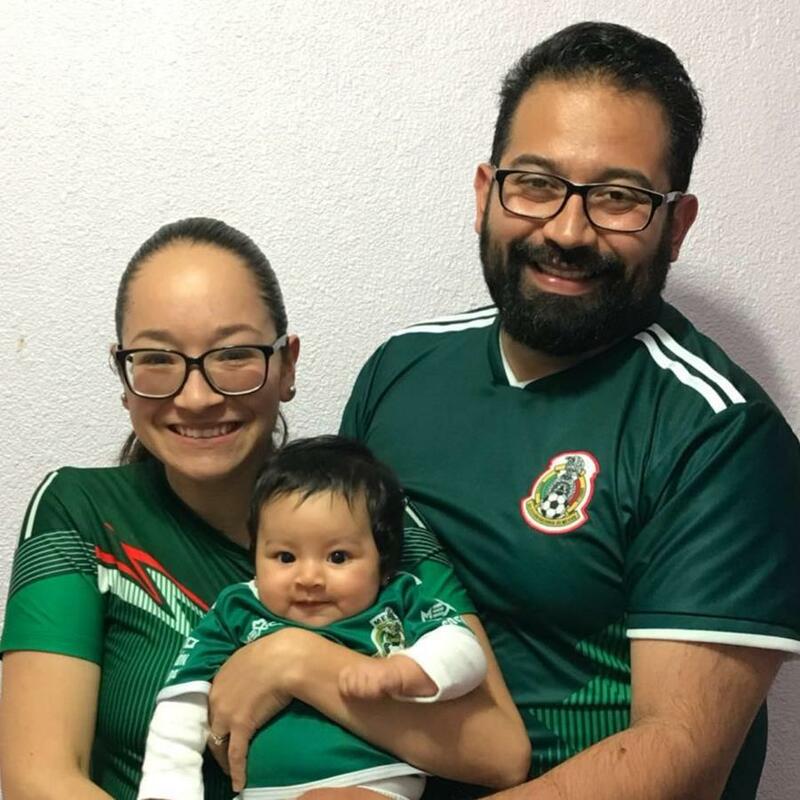 Being legally married in Mexico, is uncommon, even in the church, due to the cost, amount of paperwork, and cultural acceptance of “living together” being seen as the same as being married. All churches, try to break this outlook, but it is an uphill battle. We REJOICE when people do it the legal way, and get married in the eyes of God. We have never seen her happier and the kids are happy too. We couldn’t ask for more for them! The whole family is following Jesus and we are excited for their future. Lindzee, the Open Arms Operations Director, hurt her knee in May. She flew home (to California) and her doctor gave the report that her meniscus had torn and it would need to be repaired with knee surgery. 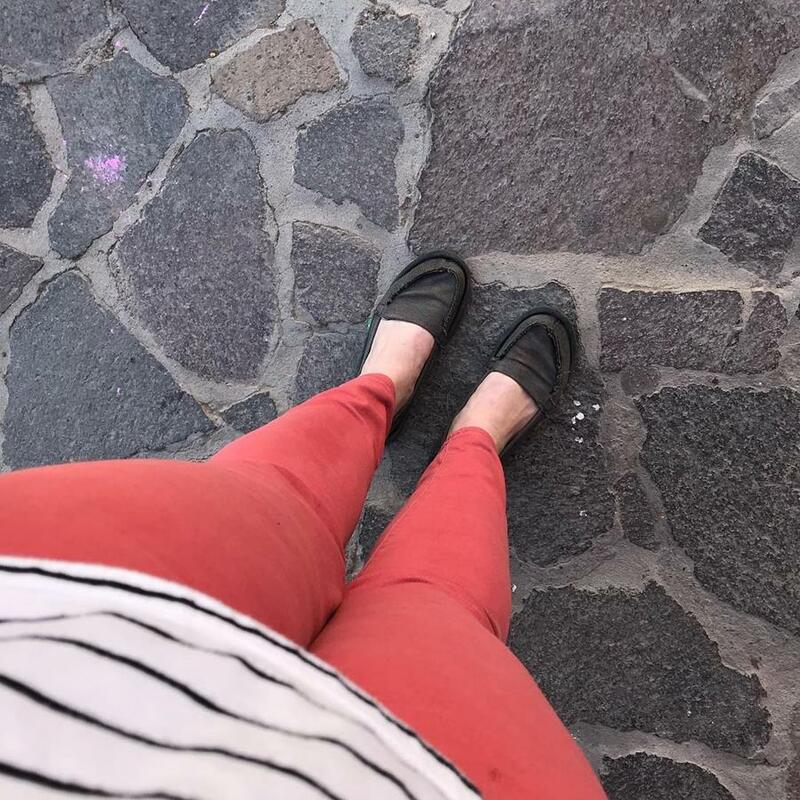 She was in California going through all the steps to get surgery and decided to return to Mexico, on crutches and in pain, to wait for a referral. The Sunday she and her family returned, they went to their church and received prayer from one of the pastors and SHE WAS TOTALLY HEALED. She left the church without crutches, not even a limp, no pain and cancelled the surgery! Do you see why we just had to tell you all about how GOOD GOD IS?? God is truly moving at both of our campuses, and we couldn’t wait to tell you guys all about it! God is still a God of Hope. A God who Heals. A God who Restores. A God who Saves and Delivers. He is the same yesterday, today and forever! All the Glory and Honor goes to Him! Thank you for being a part of this ministry, you reap the harvest right a long with us! Please share this on your social media so others can brag on God too! ← Keeping families together this month means teaching women (mothers, daughters, granddaughters) who they are in CHRIST!